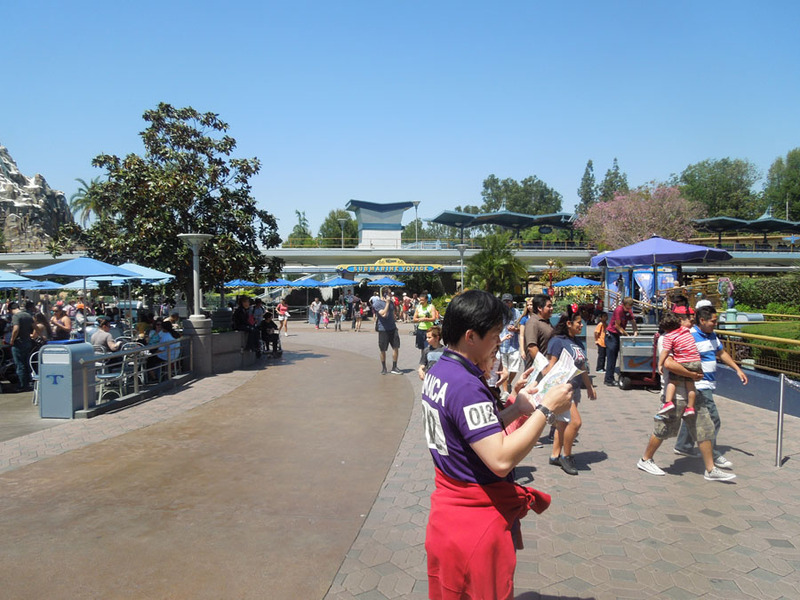 Tomorrowland is a huge land in Disneyland. 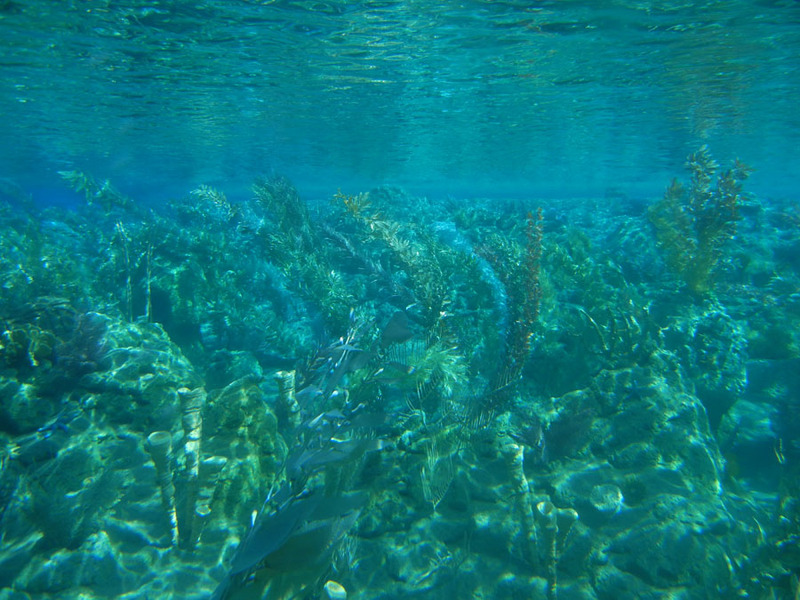 It occupies the entire southeast corner of the park. 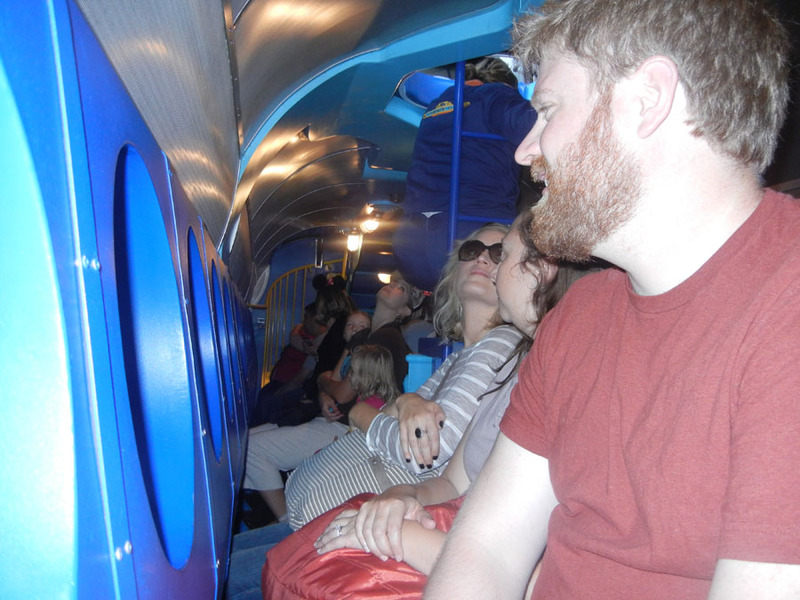 Tomorrowland is home to some of the best rides in Disneyland. 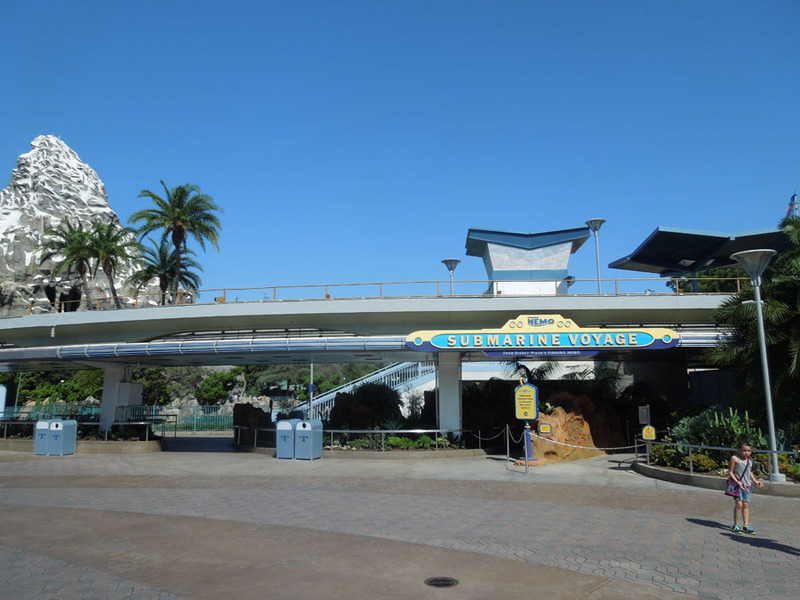 Space Mountain, Star Tours, Buzz Lightyear's Astro Blasters, Autopia, the Astro Orbiter, the Submarine ride and the Monorail! This land has three Fastpass rides, while no other land has more than one. It's also home to the irresistible Jedi Training Academy and to the Innoventions building. For this project, Tomorrowland is divided into seventeen sections of photos. From west to east, they are the restrooms around the back of Plaza Inn, the Astro Orbitor rockets, Pixie Hollow, Buzz Lightyear's Astro Blaster, Star Tours, the Fastpass distribution area for Star Tours, Tomorrowland Terrace, the Star Trader store, Space Mountain, the Finding Nemo Submarine Ride, the Space Mountain Fastpass distribution point, the Jedi Training Academy, the Innoventions building, Autopia, the experience from in a car at Autopia, the monorail and the Tomorrowland train station. 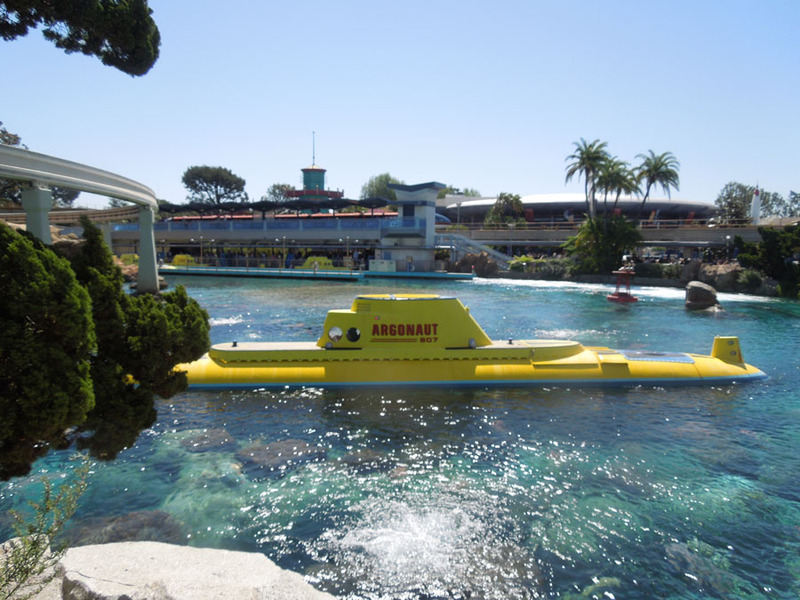 The submarine voyage takes visitors below the surface of a lake within Disneyland and under the roadways of Autopia. It's an experience that you won't find at the county fair. 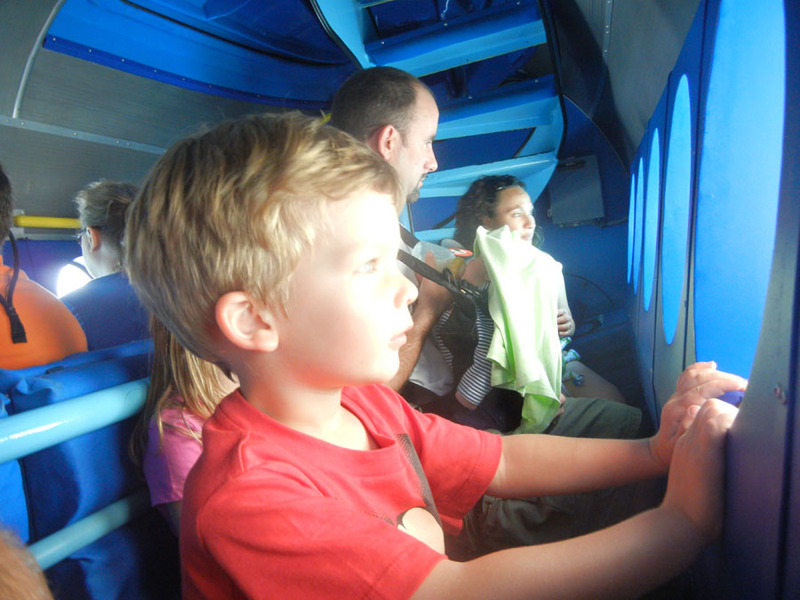 It's been recently renamed the Finding Nemo Submarine Voyage. 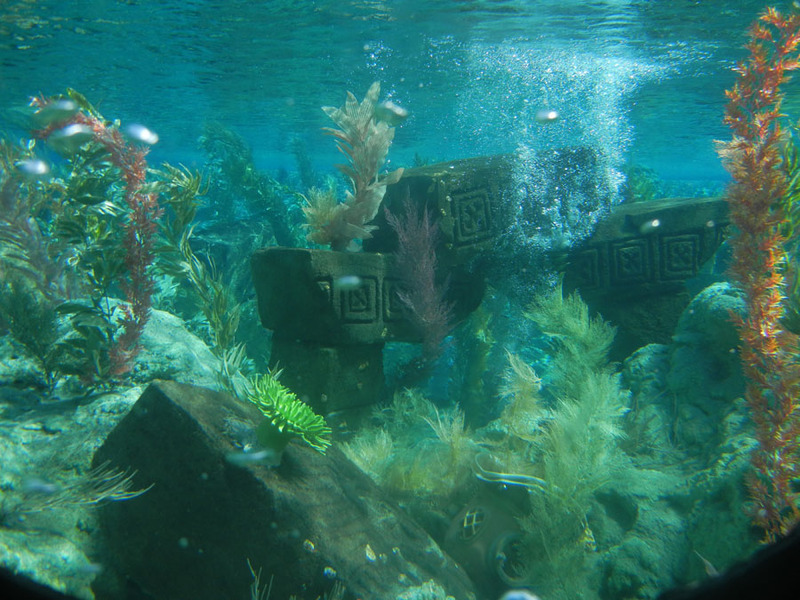 Here's a photo of the Submarine Voyage entrance from a bit further away. 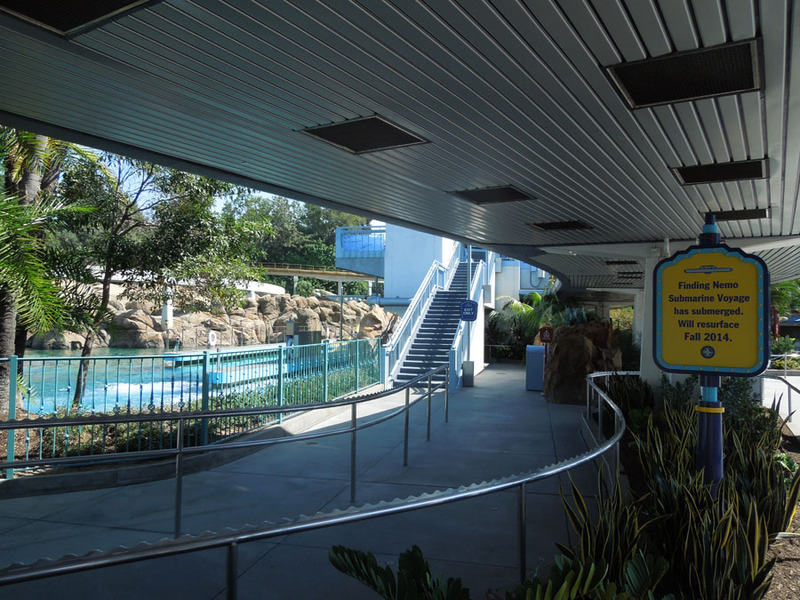 Looking north the Tomorrowland Terrace is on the left, the exit to Autopia is to the right. Here's a look from the other side of the lake, looking south. The Argonaut submarine. 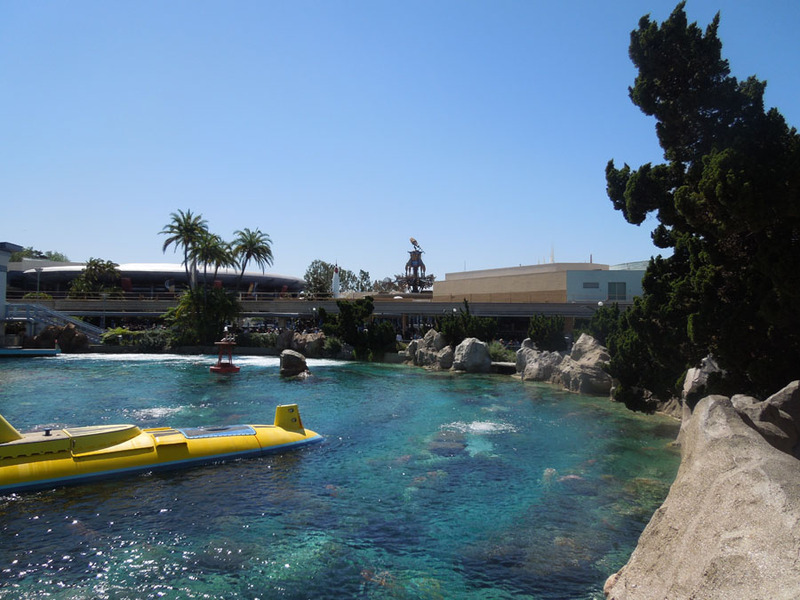 These two photos were from the north end of Tomorrowland, maybe technically in Fantasyland next to the Matterhorn. 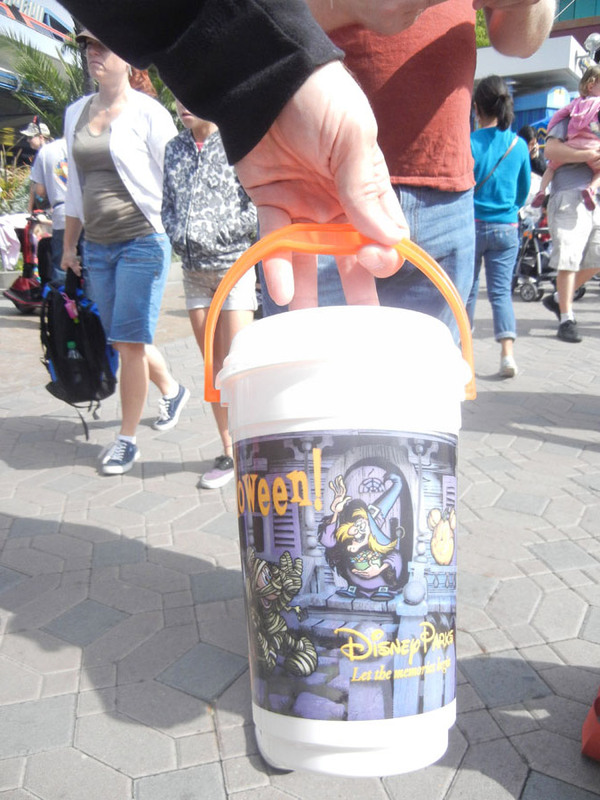 A souvenir cup of cotton candy. 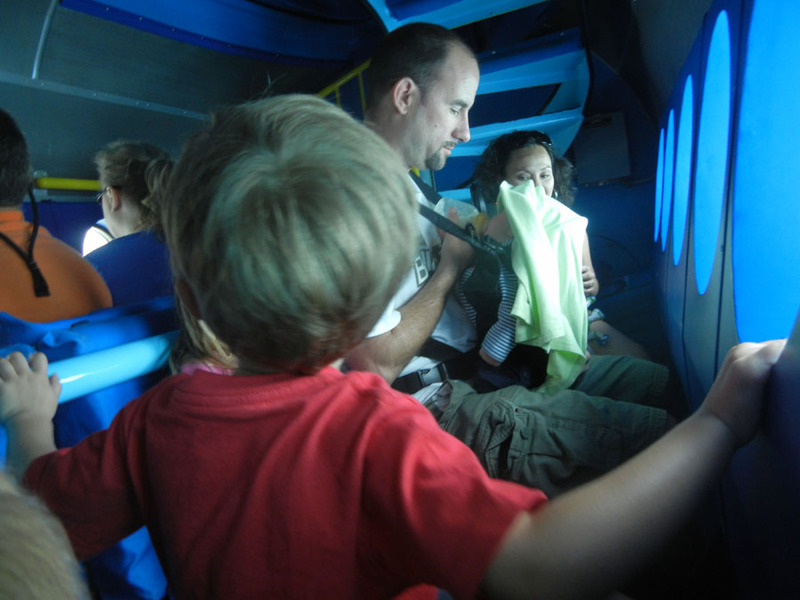 From in line at the Submarine. 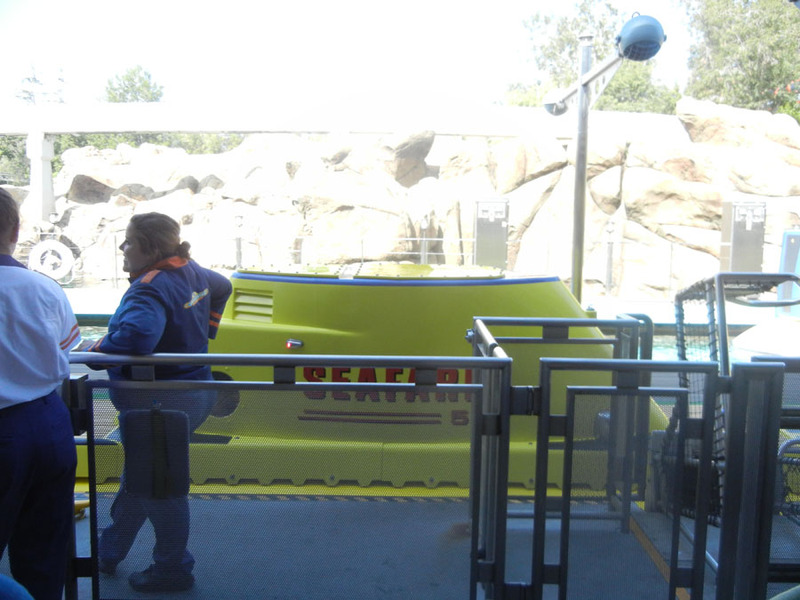 The Seafarer sub leaving the port loading station. 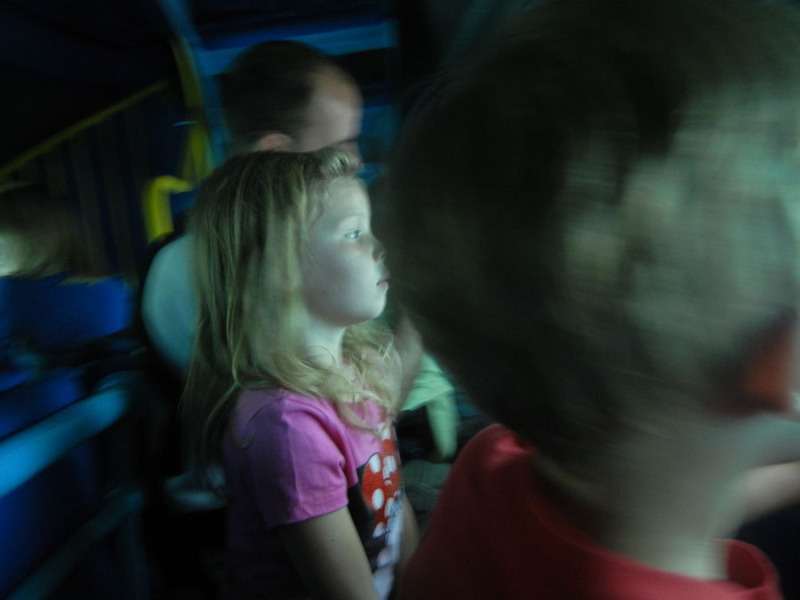 Inside the submarine at Disneyland. 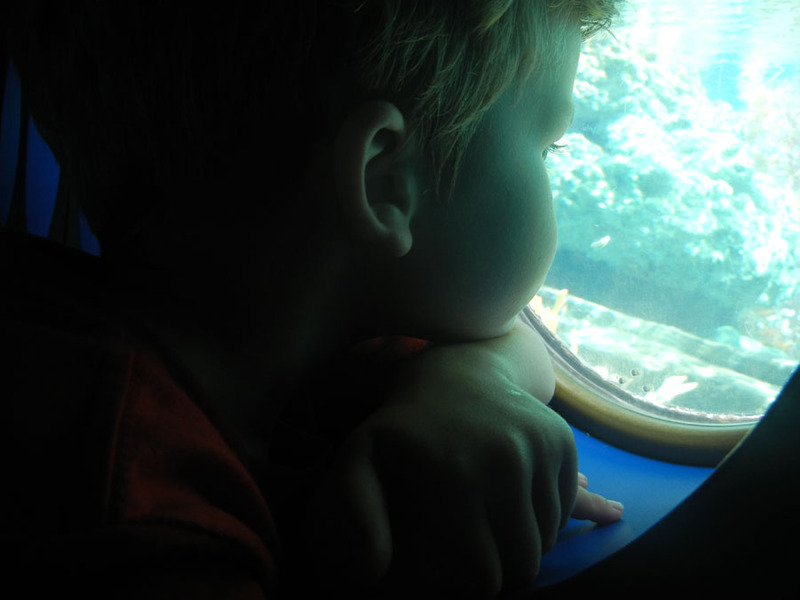 Looking out of the porthole. Front of the sub, with spiral staircase. 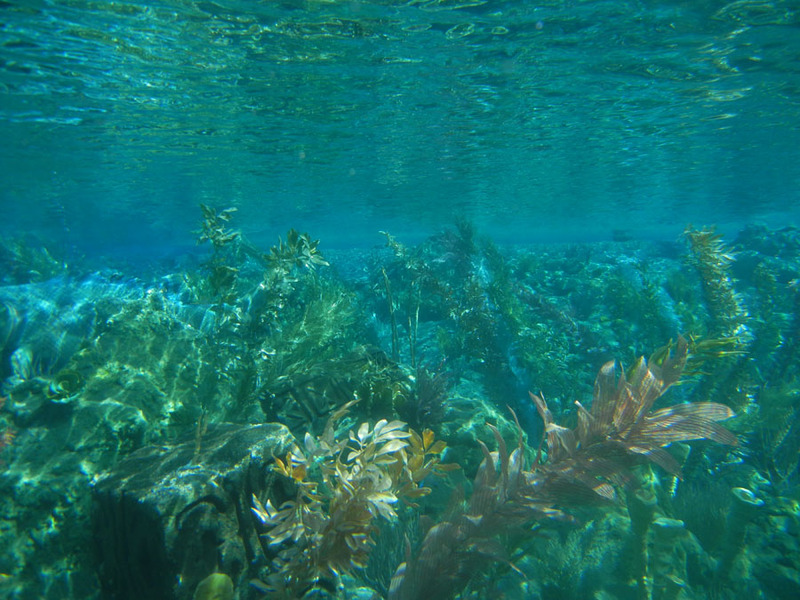 The view from the submarine. 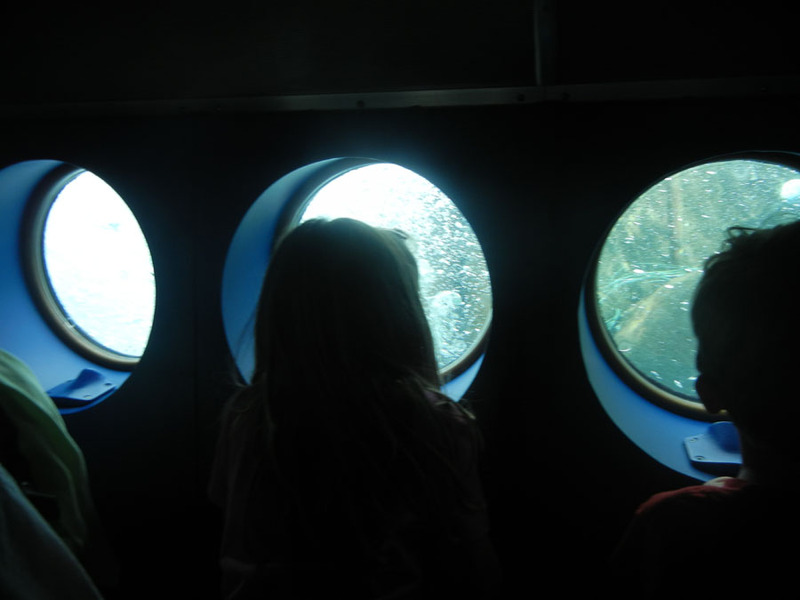 The portholes have a dedicated air supply to keep them from fogging up. 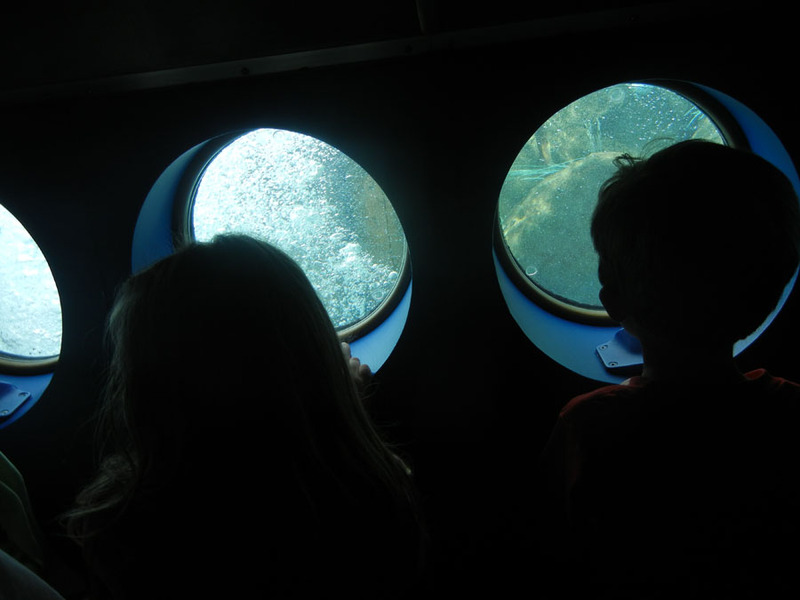 Bubbles in the water to simulate being submerged. From west to east, they are the restrooms around the back of Plaza Inn, the Astro Orbitor rockets, Pixie Hollow, Buzz Lightyear's Astro Blaster, Star Tours, the Fastpass distribution area for Star Tours, Tomorrowland Terrace, the Star Trader store, Space Mountain, the Finding Nemo Submarine Ride, the Space Mountain Fastpass distribution point, the Jedi Training Academy, the Innoventions building, Autopia, the experience from in a car at Autopia, the monorail and the Tomorrowland train station.